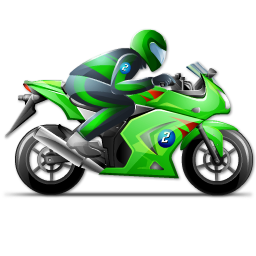 Obtaining Florida Motorcycle Insurance Quotes Online is easy with Click & Save Insurance. Find the most affordable Florida Motorcycle Insurance Quotes available based on your driver profile. Our team of insurance professionals are here to assist you. Call us today at 1-813-643-7770 for all of your Florida Insurance Services, or click here. When researching Florida Motorcycle Insurance Quotes, you will need to consider what type of vehicle you want to insure. Not all auto insurance companies provide Motorcycle Insurance. Protect your valuable investment. You will lose financially if something happened to your Motorcycle and you are not properly protected. With Click & Save, you can buy the best protection you possibly can at the best price you can get. When researching Florida Motorcycle Insurance Quotes, don’t assume your auto insurance covers your Motorcycle. What Discounts are available when purchasing Florida Motorcycle Insurance? What other recreational vehicles can I insure? *PIP is not a requirement in Florida, however we highly recommend it. Florida is a no-fault insurance state.